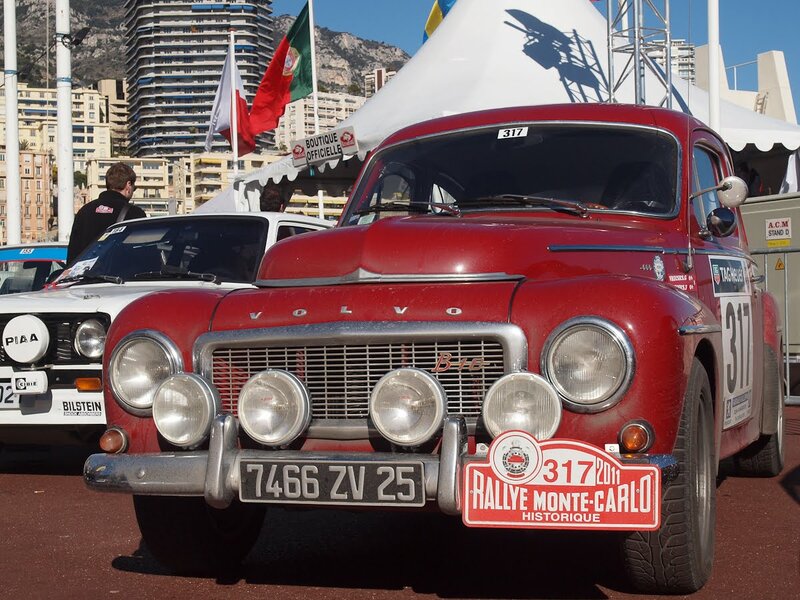 Looks like the car in the main photo has been taking part in the Monte Carlo Rally Historic since it started. Of course, there's always the official website. I want the ol' red Volvo! Man would I love to roll around EAGAN in it! Looks like a fun care show! 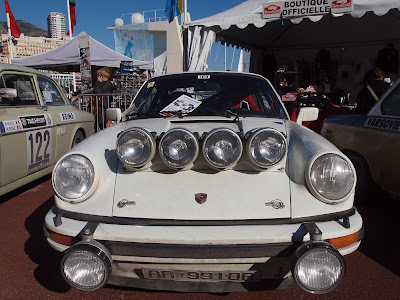 My question would be 'what is up with all the headlights'? I'm sure they serve some purpose in this ralley. Sharon, I think they need the lights when they are flying about the remote countryside in the darkest night with no street lights. This must be different than the Grand Prix Historique, which I understand is in even numered years on the weekend before the regular Grand Prix, We attended in 2002 and are thinking of coming back in 2012. 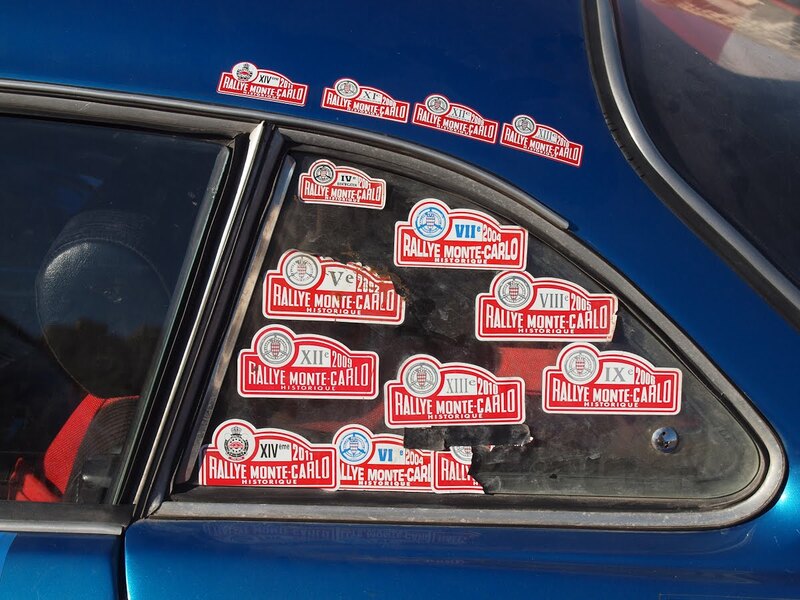 Dave, this is the Monte Carlo Rally Historic - rally cars... nothing like the Historic Grand Prix cars! How many headlights does a Porsche need? It looks like a mutant albino amphibian.